Rethink everything. To some it might sound ominous, but for those of us at SHRM-Atlanta, our new motto is exciting and creative – and full of upside potential. In 2015, the SHRM-Atlanta Board of Directors embarked on a quest to take our association – or more accurately, our community – to the next level. Already 2,000+ members strong, and one of the largest single-city Chapter affiliates of the national Society for Human Resource Management (SHRM National), the Board’s challenge to the staff and Volunteer Leadership Team was clear: how do we deliver more value to our members and continue to grow as the premier HR community in the Greater Atlanta area? In 2017 we’ve taken deliberate steps to enable our transformation toward our 2020 Vision, many of which are behind the scenes. As we rethink everything, including our staffing model, organizational structure, member benefits, onboarding process, how we approach professional development, what it means to be an engaged SHRM-Atlanta member, and more, our goal is not change for change’s sake, but change for the sake of delivering more value for our members and to remain relevant in today’s changing world. We’re excited about where we’re headed, and look forward to making the journey with you – so hold onto your seat as we gain momentum in 2018 and beyond! Over the past few months you may have heard us talk about our Four Pillars – the “how” of delivering on our value proposition and the “what’s in it for me?” for our members. These four pillars provide the basis of our commitment to our members, as well as the guiding star for all that we do. The first Pillar is about fostering community and connections – creating a place where you, as HR practitioners and affiliate members, can be a part of something bigger. We are implementing a number of initiatives to welcome new and future members into our family and connect them immediately with other professionals, provide ample opportunities for relationship building and networking, facilitate mentor/mentee connections as well as meaningful dialogue among our members, and offer opportunities to engage with other HR colleagues in volunteerism and community service. Our strength is with the collective brainpower of our membership, and our goal is to foster relationships that will last a lifetime. One of the biggest changes we are making in support of our 2020 Vision is redesigning our professional development offerings to better deliver on our promise to help you take your career to the next level. 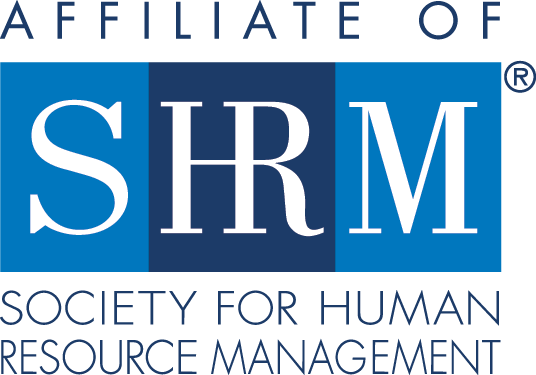 No matter where you are in your HR career – from early career to senior executive – SHRM-Atlanta is committed to further developing your HR skills and competencies, business acumen and leadership capacity. What has previously been offered as a set of events with interesting topics in the form of Chapter Meetings, Power Breakfast panels, Regional Development Community programs and conferences, is now evolving into intentional development tracks and conference themes designed specifically for your career level learning – early, mid, and senior (or as we like to call them, Aspiring, Emerging, and Accomplished HR Leaders). You’ll see more in-depth formats (e.g. workshops, seminar series, or mentorship programs), online options, and a focus on specific learning objectives and actionable takeaways. We won’t change overnight, but keep an eye on our program offerings for 2018, as there will be many new and different learning opportunities. As a community of HR professionals, we want to help you be celebrated, enhance your professional brand, and continue to elevate the perception of the profession. In addition to highlighting and creating visibility for initiatives that have further enhanced the HR profession while positively impacting business results, we want to inspire best practices in others. SHRM-Atlanta celebrates individual and collective success by promoting various award recognition programs – including SHRM-Atlanta’s IMPACT Awards, the When Work Works Awards, and other awards programs – while also recognizing individual member achievements, including promotions, HR Certification attainment, new positions and other successes. Finally, SHRM-Atlanta is committed to connecting you to local and national thought leaders offering valuable insights that will propel your thinking and empower you to be a thought leader within your own organization. To keep you abreast of current trends, we provide ample opportunities to learn about new and innovative HR products and services, and continue to enhance our robust members-only tools and resources. These resources include HR360 (a comprehensive online HR library that provides information, tools and forms to help you stay compliant), our Assessment Resource Center (an industry-leading assessment portal with 500+ of the world’s best assessments at your fingertips), the eHuman Resources Newsletter with timely and relevant legal and industry updates, and more. As we continue on our journey towards our 2020 Vision, we know that we’ll need to be agile, we’ll need to listen closely to our members and future members to ensure we are delivering on our value proposition, and we’ll need to remain committed to rethinking everything if we hope to stay fresh and relevant. Our future is bright, and we hope you’ll enjoy the journey with us!